Although fundamental to life itself, many processes involving DNA and its packing inside cells still remain to be elucidated. 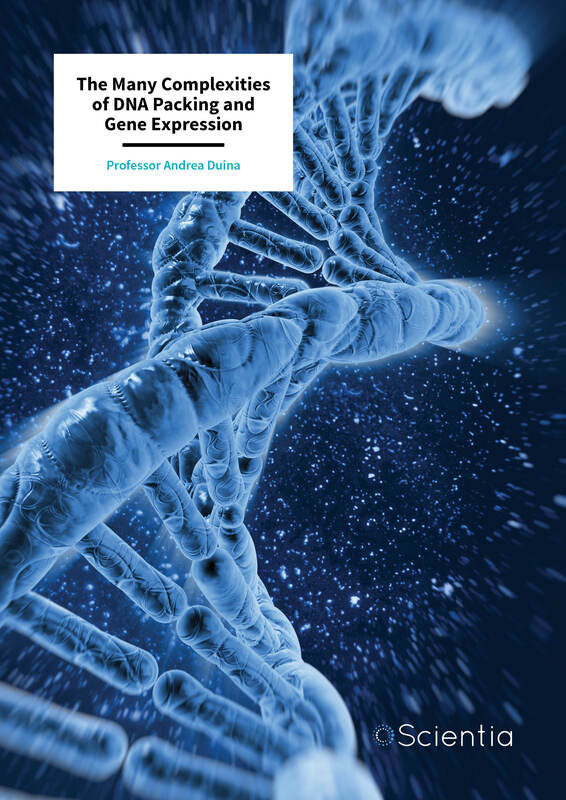 Here, we follow the work of Professor Andrea Duina and his team at Hendrix College, Arkansas, USA, in their efforts to understand the dynamics of DNA packing and gene expression. DNA is often described as the blueprint of life, with ~3.2 billion individual ‘letters’ of instructions scattered across 23 chromosome pairs providing enough information for a single cell to generate an entire human being. Within a single human cell, collectively all the DNA molecules measure an astonishing ~2 metres in length! Yet all of this DNA must somehow fit inside each and every nucleated cell in your body. Simply bundling everything together would never work, as anyone who has tried to untangle a set of cables can attest. Thankfully, our cells are more organised than our storage cupboards and use a series of packing steps to compress the DNA in an orderly and reversible fashion. The basis of this packing is the nucleosome, a particle composed of a short stretch of DNA wound around the edges of a structure made up of pairs of four proteins known as histones. 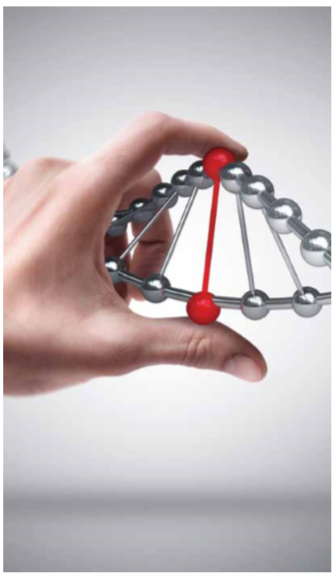 Nucleosomes are scattered along the DNA molecules like beads on a necklace. The nucleosome-beaded strands are then further packed into wound fibres to provide even more compression. Further packaging will occur when the cell is ready to divide, creating even more compact chromosomes. Nucleosomes are considered to be the fundamental unit of chromatin, a term used to describe the collection of DNA, histones, and other proteins found across different regions of chromosomes. In addition to being necessary to fit the genetic information into the tight confines of the cell nucleus, packaging of DNA is also a target of regulation when genes are expressed by cells in a process called transcription. Packed DNA is so tightly wound around the histone proteins that the transcription machinery cannot easily access the DNA to read the underlying sequence. 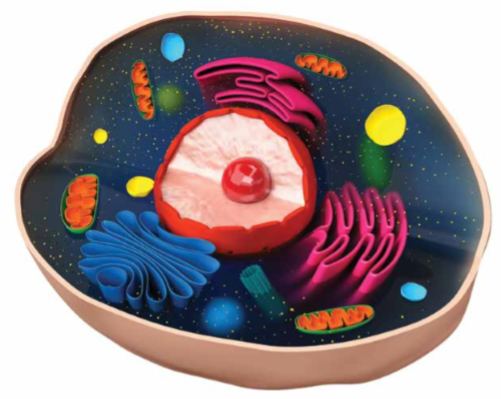 Human cells and other nucleated cells (collectively called eukaryotic cells) use this packing as a way to repress genes when they should not be expressed, but this also means that specific machinery must exist to unpack the DNA in order to allow for genes to be expressed at the appropriate time and place. The processes of packing and unpacking of DNA are complex, and investigating them in humans can be especially challenging due to the inherent complexity of human cells. Thus, many scientists use simpler and more experimentally tractable model organisms to better understand the fundamental aspects of DNA packing and unpacking and how these are coordinated in order to ensure proper gene expression. Given the evolutionary conservation between species, discoveries made in model organisms can be generally applied across the tree of life, including humans. It is at this point that Professor Andrea Duina and his group at Hendrix College enter the picture. This group of geneticists and molecular biologists uses the budding yeast Saccharomyces cerevisiae model system to study the interplay between nucleosomes and one of the factors involved in packing and unpacking them, the FACT complex. FACT (FAcilitates Chromatin Transcription/Transactions) is an essential protein complex that interacts with nucleosomes and in so doing facilitates several chromosomal processes, including transcription. During transcription, FACT is thought to travel across genes along with RNA Polymerase II (Pol II), a protein complex that copies the DNA into ‘working instructions’, or RNA. The job of FACT in this process is to help disassemble, or unpack, the ‘roadblocks’ (in the form of nucleosomes) in front of Pol II so that the enzyme can read the DNA sequence. FACT is also required for reassembling, or repacking, the roadblocks in the wake of Pol II passage. Although FACT’s participation in this process appears simple at first, the devil is in the detail. How exactly does FACT interact with genes? How does it know when it is time to dissociate from a gene once the transcription job is completed? Are there other proteins that help FACT carry out its job? Answering these and other questions requires detailed and painstaking studies of a complex and dynamic molecular-scale process. This is the challenge undertaken by Professor Duina and his team. As can be expected for such an important factor, conserved versions of FACT are found across all eukaryotic kingdoms (namely, fungi, plants, protists, and animals). The similarity of this complex and its associated functions across species means that research from one species (such as S. cerevisiae) can be applied to others, including our own. Professor Duina’s group focuses on the yeast complex yFACT. The yFACT complex comprises two separate proteins, Spt16 and Pob3. Assisted by another protein called Nhp6, yFACT physically interacts with nucleosomes and during transcription facilitates the packing and unpacking of nucleosomes as RNA molecules are synthesised by Pol II. Using a combination of tools from the yeast toolbox, Professor Duina, while a postdoctoral fellow in the laboratory of Professor Fred Winston at Harvard Medical School, found that a tiny alteration in the nucleosome – a mutation that alters one amino acid in the histone H3 protein – causes a major change in how yFACT interacts across genes. Whereas yFACT normally associates across the entire body of genes and then dissociates at the end once the job of making an RNA is complete, the histone H3 mutation causes a dramatic build-up of yFACT specifically at the end of genes. This shift in yFACT distribution downstream, that is, towards the end of genes, suggests that the tiny alteration in histone H3 interferes with the normal dissociation of yFACT. This exciting discovery was the first demonstration that alterations in the structure of chromatin can have dramatic effects on how yFACT interacts with genes. 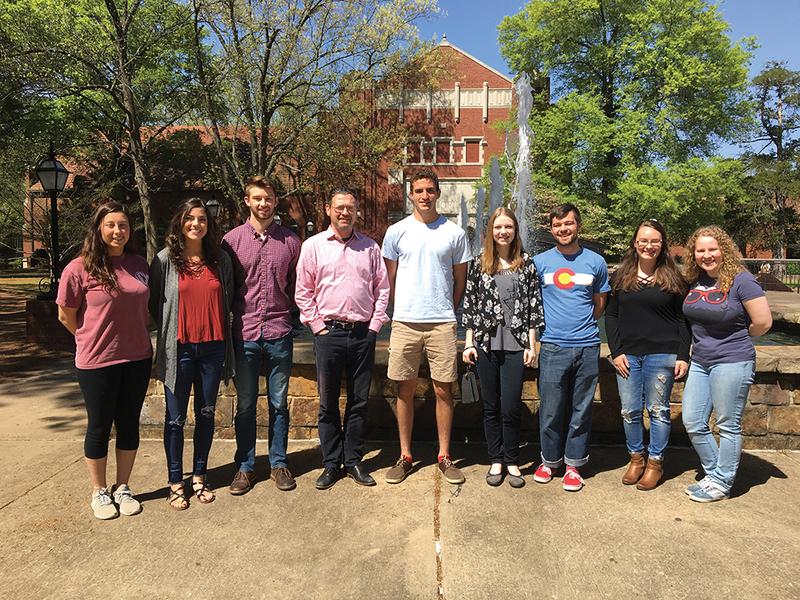 In subsequent work at Hendrix College, Professor Duina’s group found that two other mutations, this time in histone H4, also cause a similar build-up of yFACT downstream of genes as seen with the original histone H3 mutant. In a eureka moment, Professor Duina realised that all three mutations were located very near each other on the structure of the nucleosome, therefore suggesting that a specific region of the nucleosome may play an important role in making sure that yFACT dissociates properly from genes following the transcription process. In recent work, Professor Duina’s group further characterised this region, which they named the Influences Spt16-Gene Interactions (ISGI) region, and found that other mutations in it also cause yFACT dissociation defects. Examination of the nature of the mutations suggests that a specific electric charge landscape across the ISGI region may be important for ensuring that yFACT properly dissociates from genes. How does the ISGI region normally contribute to proper yFACT dissociation from genes? The answer to this question is unknown. One possibility is that a region of yFACT itself, potentially a region of the Spt16 subunit, needs to physically interact with the ISGI region in order for yFACT to properly disengage from a gene once transcription has been completed. This is a fascinating glimpse into the interplay between nucleosomes and one of the factors that interacts with them during gene expression, but there are still many different facets to explore. Professor Duina, with the support of his group and colleagues, has a clear plan of action. In collaboration with Professor Alan Tackett’s group at the University of Arkansas for Medical Sciences in Little Rock, Arkansas, USA, he is using a cutting-edge strategy involving an affinity purification step followed by mass spectrometry to assess and compare the chromatin environments present at the ends of genes in normal cells and cells harbouring ISGI mutations. The hope here is that any differences in these environments (for example, differences in the protein populations or in chemical modifications of histones – usually referred to as histone posttranslational modifications) may provide clues as to the mechanisms normally at play when yFACT disengages from genes. In other experiments, Professor Duina’s group is using more standard genetic and biochemical approaches to investigate whether other proteins, including other histones in addition to H3 and H4, as well as Pol II itself, play roles in ensuring normal dissociation of yFACT from genes upon completion of transcription. Finally, the group is also testing whether specific DNA sequences at the ends of genes contribute to normal yFACT dissociation. 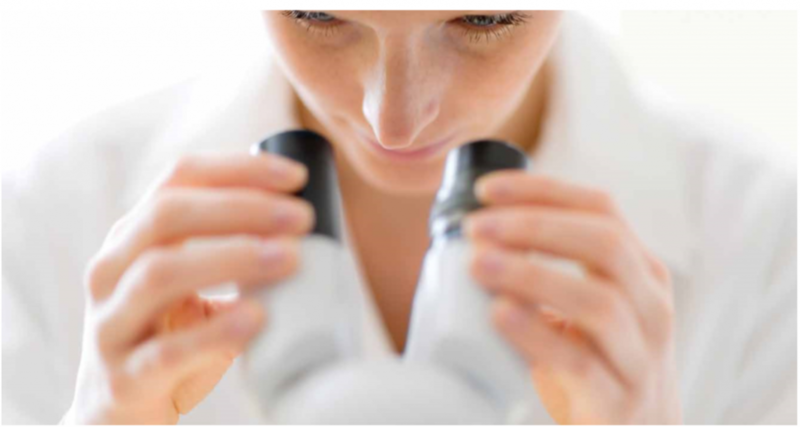 A particularly enquiring reader may query the importance and impact of research on such a basic process in yeast cells. Professor Duina answers this question with an analogy: in order to fully understand how a car works, one needs to fully understand, at the most fundamental level, how all of the components work and interface with each other. Not only are the discoveries made in the process important in their own right, they are also essential for enabling us to fix cars when something goes wrong with them, whether it is a problem often experienced by cars or something completely novel and unexpected. Thus, Professor Duina continues, basic research (such as that carried out in his laboratory) on model organisms (such as S. cerevisiae) is essential for bringing us closer to a more complete understanding of how cells work. This work is not only exciting in itself but is critical for the improvement of human health. In the case of FACT, for example, recent studies have provided evidence that the FACT complex may facilitate the development of certain cancers – thus, basic research on FACT can also have implications for our understanding of cancer biology and could potentially lead to novel therapeutic strategies in the future. Professor Duina and his group are based at Hendrix College, a distinguished liberal arts college in Conway, Arkansas. Initially jump-started by funding from Hendrix and the Arkansas IDeA Network of Biomedical Research Excellence Program (Arkansas INBRE Program, formerly known as BRIN), Professor Duina’s research has since been funded mostly through grants from the National Science Foundation. Hendrix is an undergraduate institution, and as a result research in Professor Duina’s laboratory is carried out in large part by undergraduate students. For Professor Duina, the nurturing of young scientists is a critical component of his work and he feels privileged to be able to provide his students with invaluable first-hand experience in various aspects of scientific research through investigations of the fundamental processes related to DNA and chromatin function. Professor Andrea Duina completed his PhD in biochemistry, molecular biology, and cell biology at Northwestern University in Evanston, Illinois, in 1998 under the supervision of Professor Richard Gaber. He undertook postdoctoral research in the laboratory of Professor Fred Winston at Harvard Medical School in Boston, Massachusetts, before being appointed Assistant Professor of Biology at Hendrix College in Conway, Arkansas, in 2004. In 2016, he was promoted to the rank of Professor of Biology. Professor Duina’s ongoing contribution to his research field includes a number of publications in prestigious journals, invited conference and seminar presentations, and participation in scientific outreach activities. He has also served as a Guest Associate Editor for PLOS Genetics and as a reviewer for several scientific journals. Professor Duina is currently a member of the External Advisory Committee for the Maine IDeA Network for Biomedical Research Excellence Program (Maine INBRE Program). E Nyamugenda, BC Cox, JB Pierce, RC Banning, ML Huynh, C May, S Marshall, CE Turkal, AA Duina, Charged residues on the side of the nucleosome contribute to normal Spt16-gene interactions in budding yeast, Epigenetics, 2018, 13, 1–7. AA Duina, ME Miller, JB Keeney, Budding yeast for budding geneticists: A Primer on the Saccharomyces cerevisiae model system, Genetics, 2014, 197, 33–48. H-TT Nguyen, W Wharton, JA Harper, JR Dornhoffer, AA Duina, A nucleosomal region important for ensuring proper interactions between the transcription elongation factor Spt16 and transcribed genes in Saccharomyces cerevisiae, G3: Genes, Genomes, Genetics, 2013, 3, 929–940. AA Duina, A Rufiange, J Bracey, J Hall, A Nourani, F Winston, Evidence that the localization of the elongation factor Spt16 across transcribed genes is dependent upon histone H3 integrity in Saccharomyces cerevisiae, Genetics, 2007, 177, 101–112.